Scottsdale.com is pleased to announce a new partnership with the Scottsdale Area Chamber of Commerce, collaborating with a common goal of benefiting the Business United for Scottsdale Schools (BUSS) program. BUSS is a business-to-education workforce development initiative that aids Scottsdale schools in need. This program is enhanced through collaborative relationships with the local business community, such as the new partnership with Scottsdale.com and the Scottsdale Chamber. Aimed at supporting education as a means of improving economic development, the BUSS program embraces Pre-K through higher education to create workforce development strategies that attract, develop, and retain the very best students, teachers and workforce. “We are delighted to have Scottsdale.com and Privileges fill two more important seats on our BUSS! It’s exciting to see business members in our community so engaged with the education of our future workforce” says BUSS committee chair, George Jackson. Business United for Scottsdale Schools is a business-to-education workforce development initiative in which the strength of Scottsdale schools can be enhanced through collaborative relationships with the business community. BUSS board member leadership includes representatives from the Scottsdale Area Chamber of Commerce, Scottsdale Unified School District, Scottsdale Community College, City of Scottsdale Department of Economic Development, Scottsdale Charros and other area business leaders. The Scottsdale Area Chamber of Commerce is the largest business organization in Scottsdale providing advocacy, education, networking, leadership development and exposure opportunities to our member businesses. The Chamber actively works to maintain Scottsdale’s high quality of life and create an environment where business innovation, excellence and entrepreneurship can thrive. Serving ALL of Scottsdale since 1947. For more information visit www.scottsdalechamber.com or call 480.355.2700. Locally owned and operated for the past 11 years by Fred Mercaldo, Scottsdale.com provides local business directories, articles and interviews, event listings, jobs, hotel bookings, real estate information and more. Locally, Scottsdale.com is part of a network that includes Tempe.com, Mesa.com, Chandler.com, FountainHills.com and ApacheJunction.com. Nationally and internationally, it is part of the Geocentric Media, Inc. network (GeometricMedia.com) and includes over 850 City brands, both US and internationally. International Cruise & Excursions, Inc. (ICE) is a leading international travel and lifestyle organization with a network of premier corporate, leisure, and affinity-based alliance partners reaching around the globe. ICE offers a unique portfolio of services and innovations – known to disrupt and replace dated industry trends. Leveraging the innate power and appeal of vacations and unique leisure related products and services, ICE provides scalable new business opportunities and significant new revenue streams to some of the most respected global brands. Unmatched in delivering powerful marketing and technology solutions, ICE creates and manages private-branded vacation programs for successful corporate brands; servicing more than 55 million consumers worldwide, in over 12 different languages, from its 11 global offices across the US, Mexico, UK, Europe and Australia. 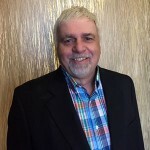 The CEO and Partner of Scottsdale.com, Fred Mercaldo, is a pioneer in the Geo Domain industry. Fred currently serves as the President of the newly-formed GeoPublishers.com trade association which is a non-profit organization that provides support and a vision for anyone who owns, works in, or is interested in the local online business.